wenglor’s new generation of Reflex Sensors for Roller Conveyor Systems is available as of the end of September 2015. This new highlight for transport and warehouse logistics is distinguished in particular by a fast-clip mounting system, quick wiring and a 270° scaled potentiometer. An additional eco mode assures efficient use of resources. 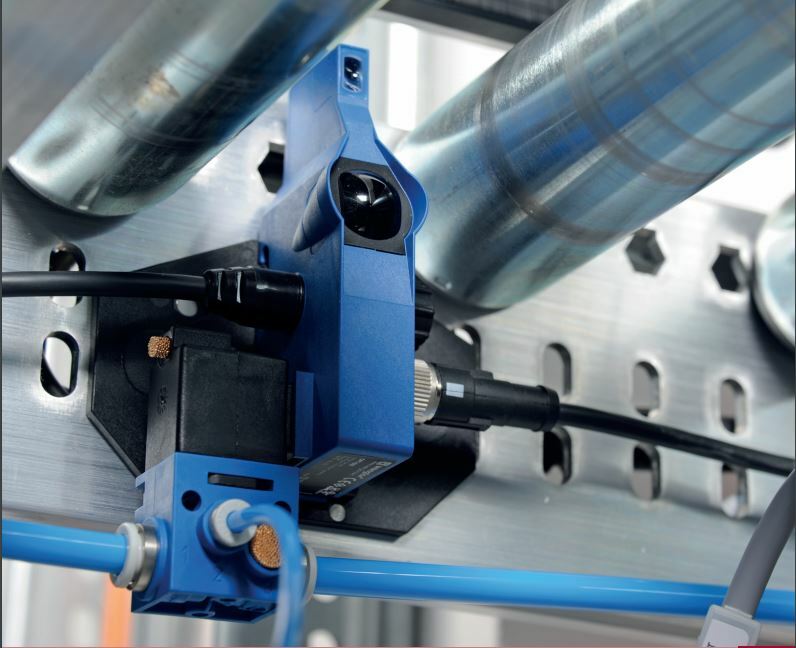 With a total of nine brand new Reflex Sensors, the technology leader in the field of optical sensors offers a comprehensive range of models for all logistics and conveyor technology requirements. Large numbers of sensors are frequently required in warehouse and logistics centers with raceway conveyors. This is costly and time-consuming. In order to optimize the tedious installation procedure, wenglor’s engineers have developed special product features which meet the performance requirements of modern transport and warehouse logistics. The long list of advantages offered by the new Reflex Sensors with Background Suppression already begins before initial start-up. The innovative fast-clip mounting system permits secure attachment to raceway conveyors by means of press-fit mounting anchors – no more bothersome work with screwdrivers. Afterwards, the sensors can be snapped into the mounting plate with just a single click and mounting is finished. “Initial experience of our lead customers with large quantities has revealed that installation expenses are reduced by as much as 60% as compared with conventional mounting systems”, explains product manager Christoph Lang. Connection of the M12 plug is fast and efficient too thanks to the quick wiring feature – just half a revolution is all that’s required. “And the cables are fully compatible with all standard cables”, continues Lang. With the help of the 270° scaled potentiometer, switching distances can be detected and infinitely adjusted at a single glance with less than a full revolution - even when the sensor is not in operation.